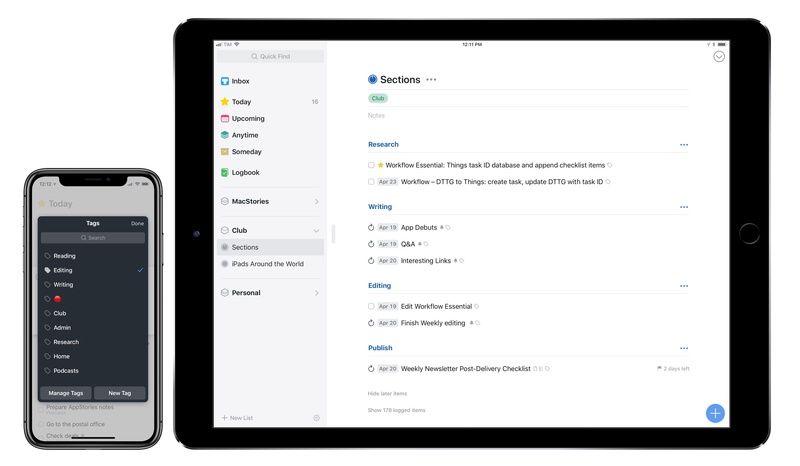 In the first update since November 2017, Apple today released version 1.7.8 of Workflow, the powerful iOS automation app they acquired last year. 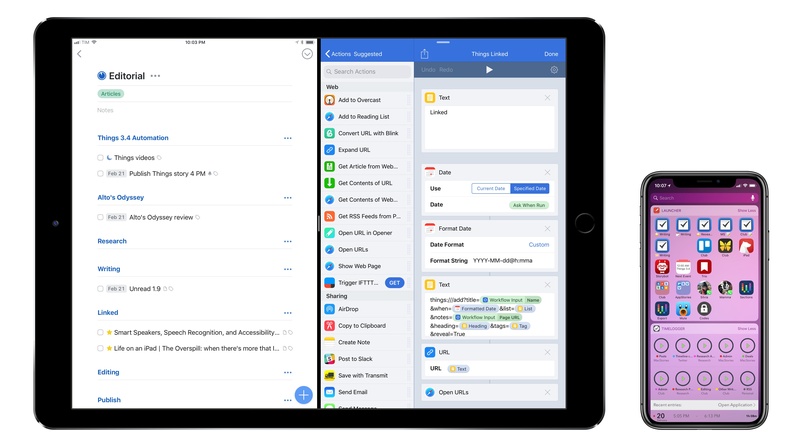 The latest version, which is now available on the App Store, introduces a brand new Mask Image action, adds support for Things' automation features, and improves the ability to extract text from PDFs using the company's PDFKit framework, launched in iOS 11. While the unassuming version number may suggest a relatively minor update, Workflow 1.7.8 actually comes with a variety of noteworthy changes for heavy users of the app. I switched to Things as my task manager late last year, sometime before the holidays. While I discussed this decision at length on Connected and AppStories, I didn't write about it on MacStories because I didn't want to rehash Ryan's in-depth review of Things 3. In terms of design and features, everything I like about Things is covered in his original review. My personal motivation for switching to Things boils down to this: the way projects and the Today screen are designed in Things fits well with my schedule, and doesn't stress me out. Things has a "calm" interface that doesn't turn overdue tasks red, making me feel guilty; projects are clearly laid out with a tasteful use of San Francisco, and further organization can be applied to a project using headings, a feature I've never seen in any other task manager. And among dozens of thoughtful touches, Things' separation of Today and This Evening for the current day is absolutely in line with how I think about my typical day. In short: I want 2018 to be less stressful than last year, and Things is helping with the task management part. That said, as someone who used 2Do and Todoist in the past and heavily automated them for integration with other apps, I was missing some solid automation options from Things. Cultured Code has offered a basic URL scheme in their iOS app for a few years now, but the supported commands never went beyond the ability to create basic, metadata-free tasks in the app. This is changing today with Things 3.4, which I've had the opportunity to test and experiment with for the past couple of months. 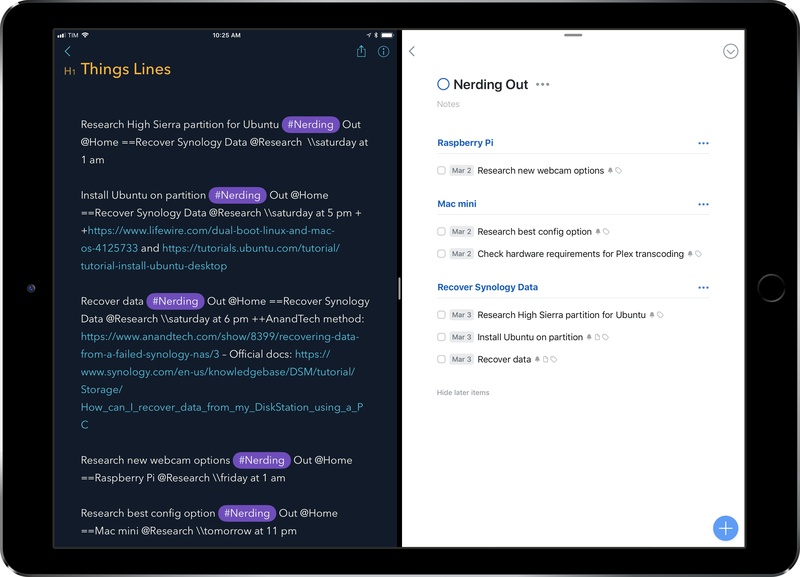 With this new version, the folks at Cultured Code have shipped one of the most powerful and versatile URL scheme action libraries seen in a task manager for iOS – comparable to Omni's work on OmniFocus, and, in a way, perhaps even more flexible. The new Things URL scheme, which has been documented here, lets you create tasks, projects, show specific sections of the app, and search across your entire Things database. This may not sound too impressive on paper, but what sets this feature apart is the level of customization and detail that can be applied to every single parameter of every action. As a result, Things is now a first-class citizen of the iOS automation scene, and, within the limitations of iOS inter-app communication, its URL scheme unlocks several new possible integrations with apps and workflows. Furthermore, Cultured Code wants to make it easy for third-party developers to natively support sending data to Things from their apps. Today, the company is also introducing a JSON-based command to allow more control when adding items to Things from external apps, and they've created a set of Swift helper classes that apps can use to easily generate the JSON needed to pass data to Things. As I'll demonstrate later in this article, a couple developers of two of my favorite iOS apps are already taking advantage of these capabilities to great effect. As you can imagine, I've been busy experimenting with the new automation features of Things and identifying aspects of the app I wanted to speed up by integrating them with other apps. Below, you'll find a collection of the launchers and workflows I've put together for Things 3.4. These are the actions and scripts I find myself using the most on a daily basis, and which I believe considerably extend Things' capabilities on the iPhone and iPad. More advanced workflows will follow over the next couple of weeks (and months) exclusively for Club MacStories members in the Workflow Corner section of MacStories Weekly. Today The Sweet Setup launched 'All the Things', a video course primarily aimed at explaining how to get the most out of Things, the popular task manager for Mac and iOS. In addition to the screencasts, the Basic package includes setup interviews with Things users who rely on the app to get work done. I was honored when Shawn asked me to participate in the course, and it was fun to answer his questions about my decision to switch to Things and how I use the app. You can find my interview here. I'm a fan of The Sweet Setup's screencast courses. I like Shawn's style of demonstrating features and how they work in practice, and I think the Basic video package is a great deal at $29 if you're looking for a way to get started with Things and learn how other people use it. There's more, though. In the Pro version of the 'All the Things' package, available at $39 for a limited time, you'll also get access to Shawn's productivity training videos that contain general tips that work for any task manager. So whether you use Todoist or OmniFocus or something else, videos such as 'How to Schedule Your Day' and 'Weekly Planning & Reviewing' will likely give you something you can apply to your own workflow. And if you just want these videos without the Things screencasts, that's also an option at $35. I watched nearly every video of the 'All the Things' Pro bundle over the past week, and – I don't say this because I was interviewed for this series – I think $39 for the discounted Pro package is great value whether you want to learn Things or optimize the way you work. You can find all the details about 'All the Things' and purchase the course here. 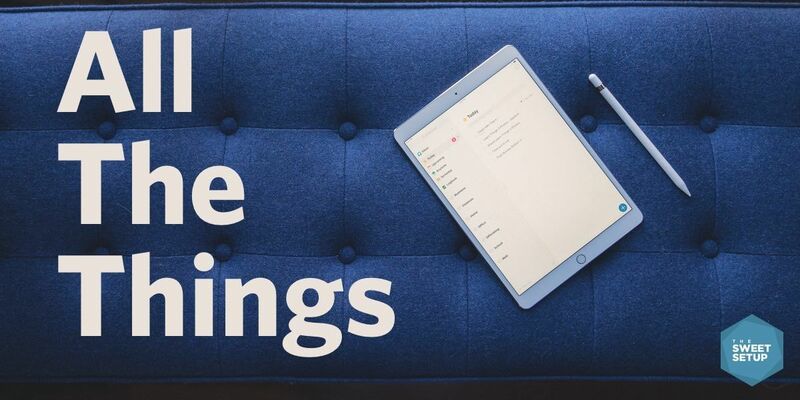 Cultured Code, makers of Things for iOS and macOS, today released Mail to Things, a feature that enables Things users to save new tasks directly into the app's inbox through a dedicated Things Cloud email address. 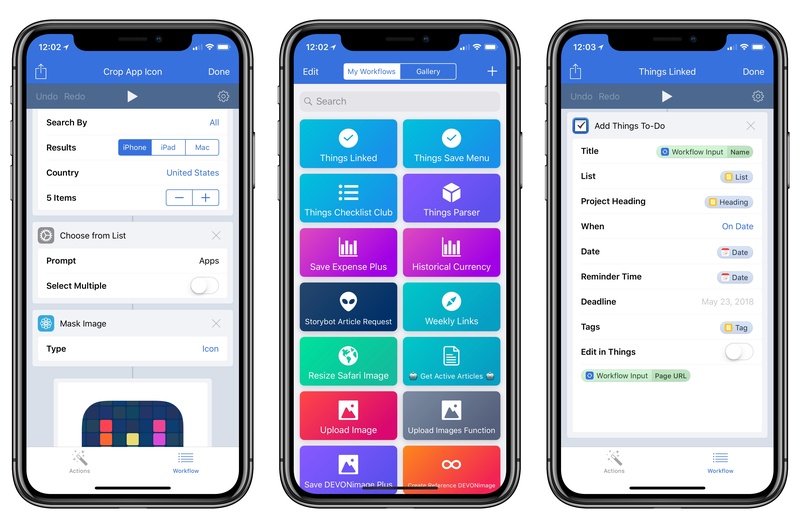 Today Cultured Code launched the long-anticipated next version of its task management app, Things, for iPhone, iPad, and Mac. 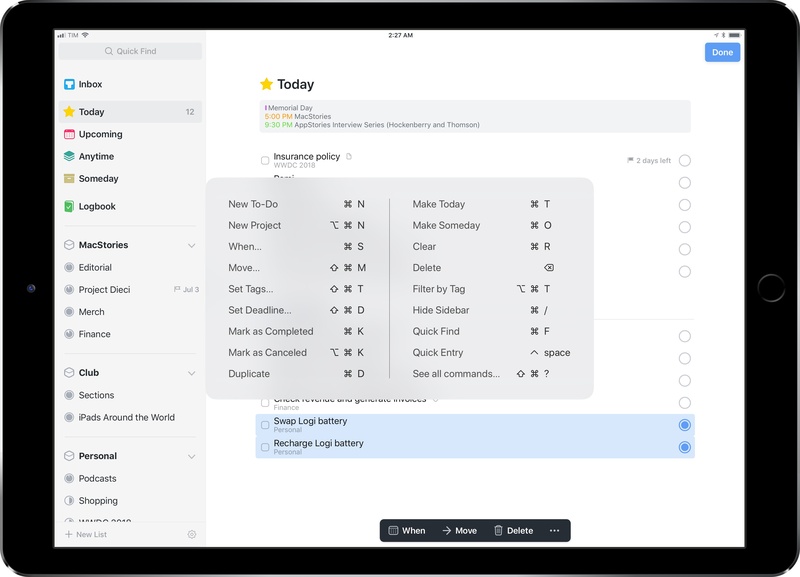 Things has been one of the go-to task managers on Apple platforms since its initial release in 2008, and for good reason; the team at Cultured Code is known for the thought and care they put into their apps. For much of its life, Things has been a shining example of quality iOS and macOS development. Over the last nine years, Things has been quick to adopt the latest OS features introduced by Apple in an effort to keep the app current; more substantial updates, however, have been few and far between. It took four years for Things 1 to give way to Things 2, and the gap between versions 2 and 3 has been even longer. 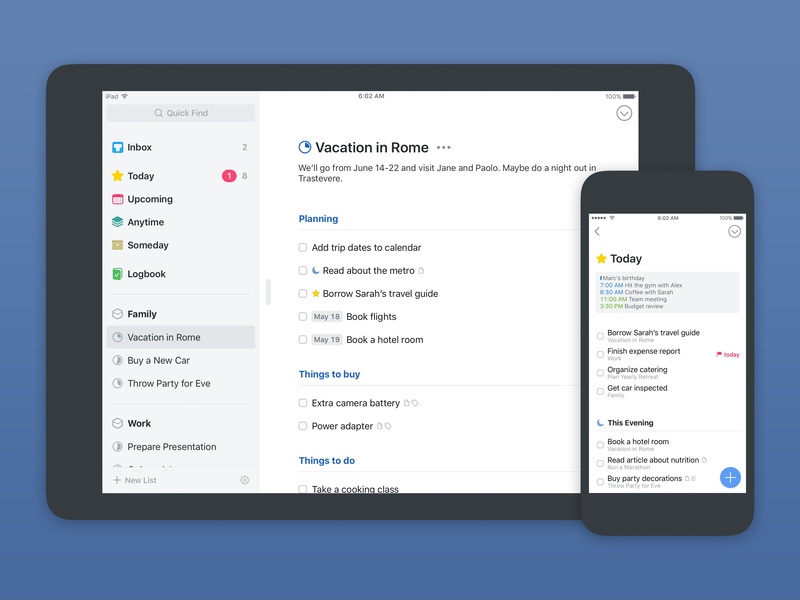 Many of the once-loyal Things users have moved on to newer, more modern options for task management. But now, Things 3 has finally arrived.